I just noticed that Instagram is so different comparing to Facebook or Twitter. After you configure your account and get your keys, you are able to use them only in their sandbox mode. If you need to use them in real life you need to submit a request for permission . So I just did it. My request still in pending for permission. I’ll try again after their approval and I’ll update the result in here. Missing Screencast: The link you provided does not show a video screencast detailing a working Instagram Login experience in your app and usage of every permission you are requesting. Please provide an updated link in your submission. Thank you for providing such a detailed and descriptive screencast. Unfortunately, I was unable to see the Instagram log in flow or the integration on the site. Please provide a screencast that shows the user linking their account so we can ensure the API is being used properly. Thank you and please resubmit! Then you login with this new user (using different browser to be able to stay logged in with the main Instagram account as Admin) and click API from the footer menu then click “Sandbox Invite” from the top menu to accept that invitation to the sandbox. But I noticed that in my setup of Instagram API account, even that I configured all my links as https:, Instagram is trying to callback as http:. So I copied the error’s URL link to a new tab in the browser and I edited my discourse site link as https:. And there it is, the expected authorization request of Instagram is showed up. Sure you can’t sign-in to Discourse this way (because of manual interruption of the process). Stay tuned for my next episode! I remember having this same http vs. https problem when using the “offline nginx container” so I strongly recommend not doing that. I had to remap all my logins to http which is wrong. I did changed all of Instagram, Google, LinkedIn clients callback configuration to http vs. https. All started to show the related authentication windows without errors. The problem here with Instagram Sign-up that when I’m tying to crate a Discourse account with it, I’m getting back only the [User Name] and first char of the [Name] and No [email]! . I have no idea why neither I know the solution. Anybody could help please!. It’s mean that’s It. We concluded the subject of Instagram login. Login with Instagram still not working! Since Instagram is not providing an email with its callback, Discourse is not accepting to create the account. So I entered the email manually. The account created but not able to login using Instagram. Discourse is acting like we are creating a new account again!. It’s seems like it is impossible to login using Instagram. I wonder if anybody succeeded this before. If anyone had success please share it with us!. Thanks for all this, waiting patiently for Instagram instructions. Makes one wonder though why DC added it as an option. Is there any update with regards to Instagram authentication ? I was well on my way to writing a proper #howto until I saw that in order to get them to approve your app you have to create a screen cast. If anyone wants to pay me $1000, I’ll consider it. I hate screen casts. Interesting. Well, I do have a couple screen shots. Maybe I should write one anyway. how to enable instagram login? It’s basically the same as the others. If you’ve done all of those, you can likely do it. You’ll still have to convince them to enable it. It’s basically the same as the others. Except that you need to provide a screencast and go through a review process. However, I’m wondering what the point is in setting up Instagram authentification when the api doesn’t provide the email address. Is there any point at all? 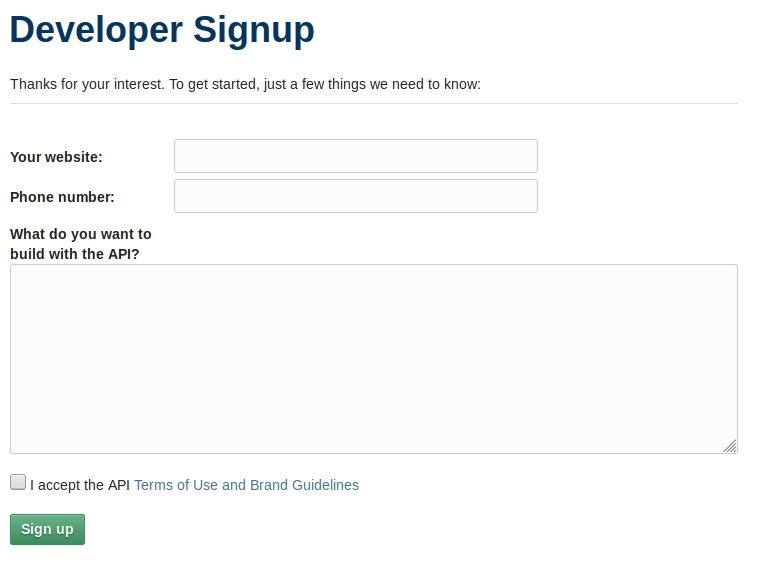 All the above pertains to what is now called the Instagram Platform API. But what about the Instagram Graph API? Can/Could it be used with discourse? Yeah. I wrote that before I understood about the screen cast or that you don’t get an email address. I don’t really understand what use it is. And they’re owned by Facebook, so I don’t see why the rules would be so different.